I just posted a new video on how to program the Yaesu FT60 handheld radio using the RT Systems software ( you can find it here http://tinyurl.com/l7o3ql8 ) and the great www.k5ehx.net website. Let me know what you think. 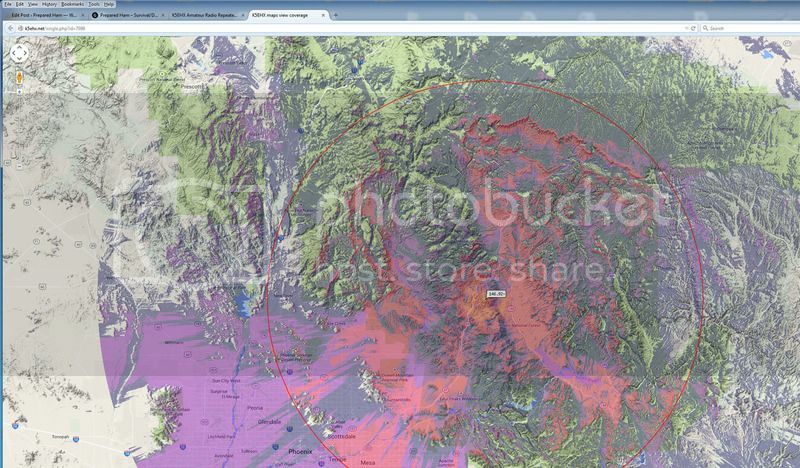 www.K5EHX.net has very cool feature where you can check the repeater coverage over local terrain. Here is a view of Mount Ord Arizona. Ord is over 7000 feet tall and using the coverage feature on k5ehx you can paint the terrain to see where you will have coverage. If your location is “painted” like in the Ord photo below you will have coverage. Watch the video below to see how to use this feature.